I love the Newly Wed Game with some great characters. Let's see what Noah Winter and Lady Thea have to say this time. What is your spouse’s favorite food indulgence? Thea: Anything on my breakfast plate. The more I desire it, the more likely His Grace is to pilfer it. Noah: And then I bring you more of any treat you desire, admit it. Her Grace loves her first cup of tea in the morning, so I make it a point to share that, and thus, she has more like two first cups of tea--or three. Thea: Or four, what with His Grace's generous, pillaging nature. How would your spouse describe the perfect Sunday off? Thea: His Grace's perfect Sunday off is spent--Anselm stop glowering--counting my toes. Her Grace's perfect Sunday off is spent with me. Thea: And without his clothes. After a fight, who is the first to apologize? Thea: His Grace and I have yet to find out. Noah: [Kisses his wife's knuckles.] I am. Thea: I notice the apologies, but I never realized we'd had a fight. What did we fight about? What? I'm serious.... Anselm. Which drink will your wife say best describes your kisses after you have settled down to married life? Noah: A fine, fiery brandy that soothes as it burns as it brings heat to the blood. Is your husband more romantic, less romantic, or about the same as he was before you were married? Thea: My husband is perfectly, utterly, endlessly romantic now. He was a mere duke before we wed.
Noah Winters, Duke of Anselm, exercises the pragmatism for which he's infamous when his preferred choice of bride cries off, and her companion, Lady Thea Collins, becomes his next choice for his duchess. Lady Thea's mature, sensible and even rather attractive-what could possibly go wrong? As a lady fallen on hard times, Thea doesn't expect tender sentiments from His Grace, but she does wish Noah had courted her trust, lest her past turn their hastily arranged marriage into a life of shared regrets. Is His Grace courting a convenient wife, or a beautiful disaster? 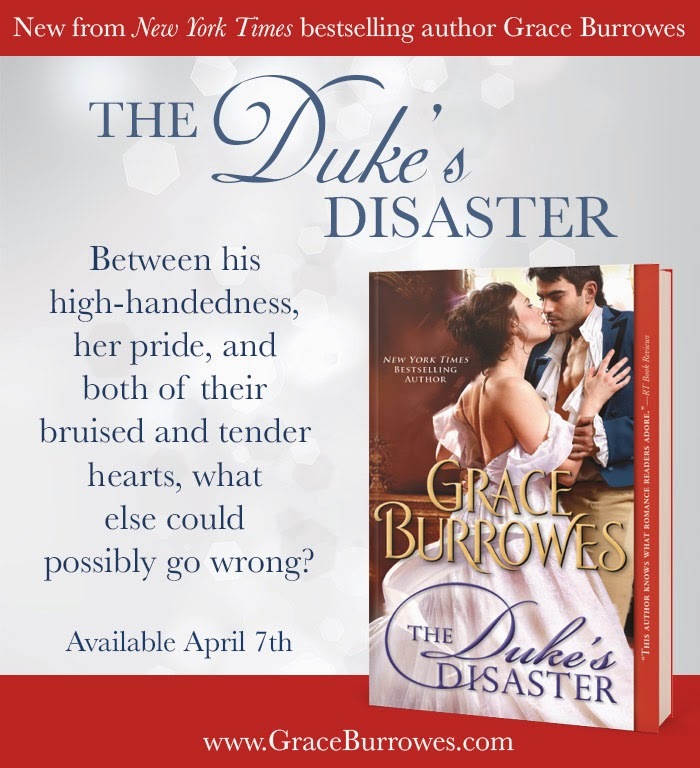 New York Times and USA Today bestselling author Grace Burrowes' bestsellers include The Heir, The Soldier, Lady Maggie's Secret Scandal, Lady Sophie's Christmas Wish and Lady Eve's Indiscretion. The Heir was a Publishers Weekly Best Book of 2010, The Soldier was a PW Best Spring Romance of 2011, Lady Sophie's Christmas Wish won Best Historical Romance of the Year in 2011 from RT Reviewers' Choice Awards, Lady Louisa's Christmas Knight was a Library Journal Best Book of 2012, and The Bridegroom Wore Plaid was a PW Best Book of 2012. Her Regency romances have received extensive praise, including starred reviews from Publishers Weekly and Booklist. Grace is branching out into short stories and Scotland-set Victorian romance with Sourcebooks. 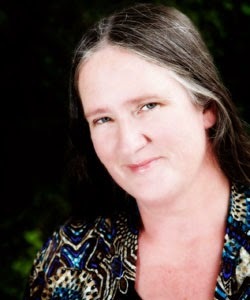 She is a practicing family law attorney and lives in rural Maryland. This is a great interview here...such fun with character interviews.